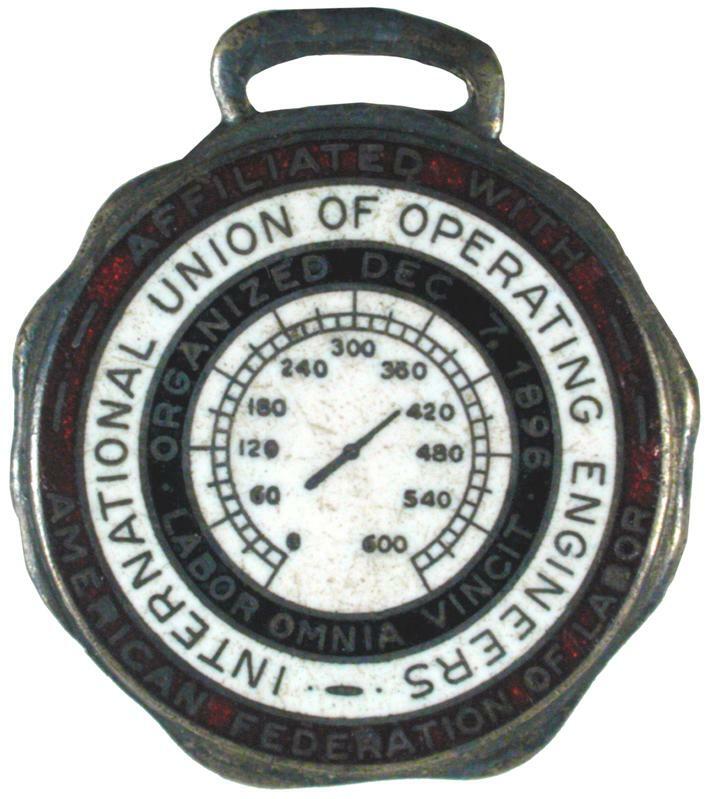 This medallion from the International Union of Operating Engineers includes an image of an engineer's gauge. Many unions highlight the instruments of their trade in celebratory badges and logos. See also other pins and badges that referred to feature tools of the trade: Iron Moulders' badge with ribbon, the Junior Order of United American Mechanics badge, the Butchers Union pin, the United Mine Workers of America button, and the Canadian Mine, Mill & Smelter Workers ribbon.